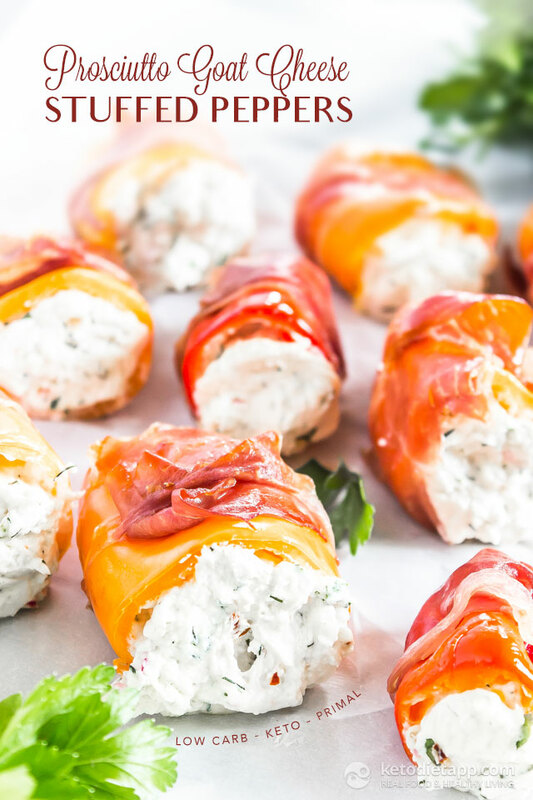 These low-carb Prosciutto Goat Cheese Stuffed Peppers are a great keto appetizer! Make sure to source mini sweet peppers so they’ll be bite sized. Feeling fancy? A drizzle of balsamic vinegar once removed from the oven is also delicious on these as well. 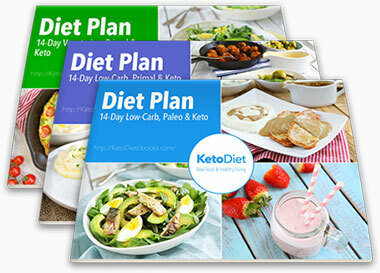 Don’t have time for cooking? 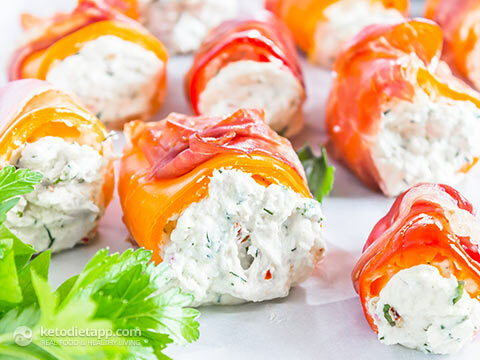 These peppers are also great “raw”, the prosciutto won’t be crispy of course but they’re still delicious! Preheat the oven broiler to the highest setting. In a small bowl combine the goat cheese, sour cream, garlic, onion, herbs, and crushed red pepper flakes. 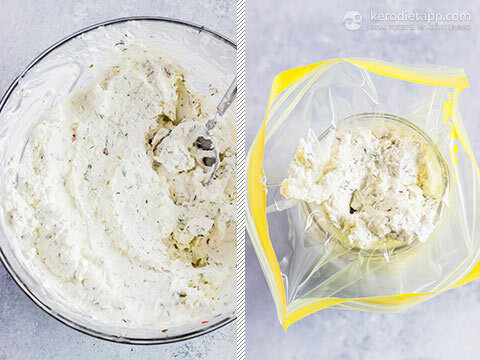 Fill a piping bag with the cheese mixture, or simply use a teaspoon to fill each pepper. Slice the top off of the peppers and remove the seeds. 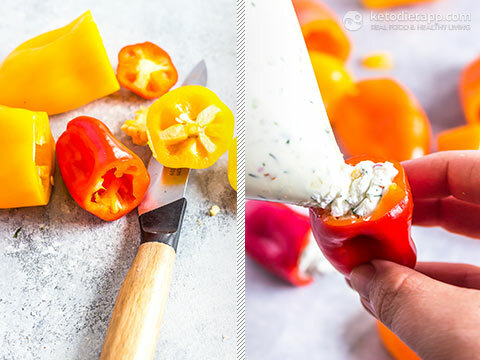 Fill each pepper with the cheese mixture. 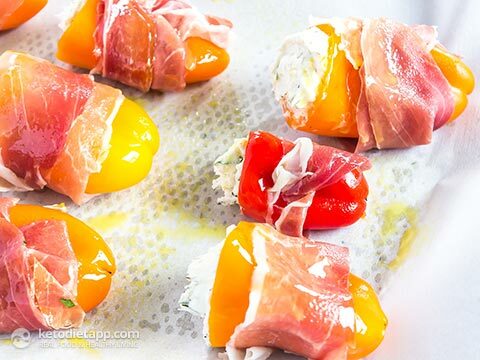 Wrap each with half slice of prosciutto. Place the peppers on a baking sheet and drizzle with olive oil. Broil for 5-7 minutes turning once, just until the prosciutto is crispy. Let them cool for 5 minutes before serving. Store leftover peppers in an airtight container in the refrigerator for up to 3 days.